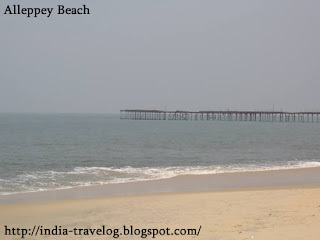 Our train to Alleppey was on time and we reached there early morning. 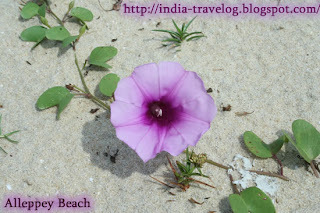 Since we had already made arrangements with a HomeStay, we headed staright to their place. The homestay had regular rooms and traditional bamboo rooms - we opted for the latter. After freshening up and a quick breakfast we headed out. 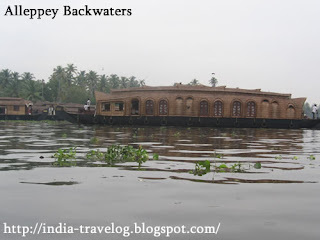 The homestay is located very near the Alleppey canal where all the boats are docked. 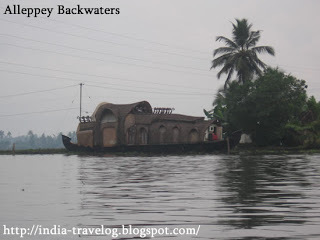 We opted for a 6 hour canoe cruise on the backwaters. It was just the two of us with the canoe man. 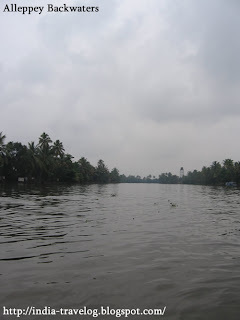 He took us around to a few nearby villages passing through numerous canals, past scenic islands, offering lovely views of coconut and paddy fields and toddy tappers at work. 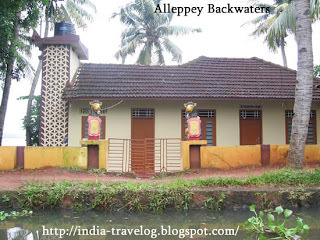 :) You can purchase a bottle of toddy and some spicy fish delicacies (tapioca curry, if you a veggie) and savour it as you go on the backwater ride. 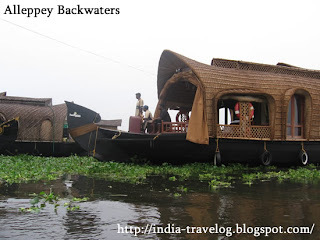 Alleppey is famous for its boat races, house boats - "Kettuvalam" , coir products, fishes and lakes. During the harvest seasom (July-Sept) lots of boat races are held here. 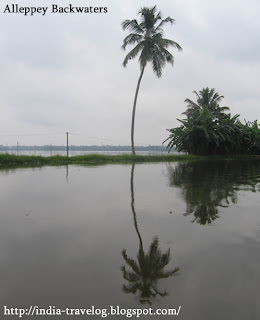 Alleppey is also home to Kuttanad, the rice bowl of Kerala which has the distinction of being one of the very few places in the world where farming is done below sea level. Amazing isnt it? 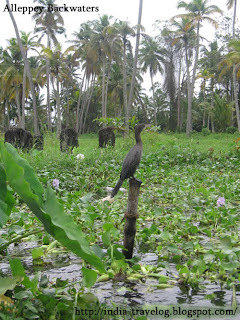 After the 6 hour backwater cruise, we headed back to the homestay for a tasty Kerala lunch. 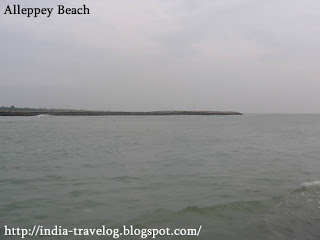 While in Alleppey we also went to the Alleppey beach which was desserted except for a few people collecting sand from the beach. A few dogs were splashing around in the waves. The beach was good. 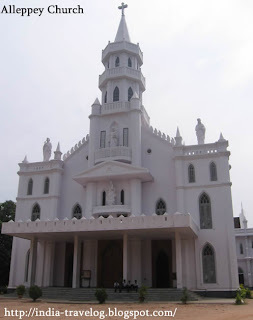 We also visited the Alleppey Church.